U.S. Small Business Development Corp.
Find more results for U.S. Small Business Development Corp.
Search For "E-Commerce & IT Outsourcing" Companies in Tampa, Florida - Click Here Now! 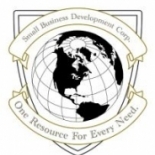 About U.S. Small Business Development Corp.
We Are The United States Small Business Development Corporation (U.S. SBDC), A Florida Based Non-profit And Non-government/corporate Affiliation, And We Are Offering A Public Service To Small Business Owners. Throughout The Nation, We Are Helping Disadvantaged Companies By Aiding Them With Assistance In Financial Rescue, Entrepreneurial Techniques, Marketing, Structured Plans, And Creative Management. ALL FOR FREE! Every Small Or Disadvantaged Business Will Receive Services On A Donation Basis To Assist The Region In Defeating Stagnant Growth. We Are Teaching And Assisting Entrepreneurs On How To Cease Hemorrhaging Revenues And Achieve Growth In Business Via Developing Strategic Targets And Alternatives For Products, Exploring Funding And Growth, Solving Current Problems, And Establishing Effective Bilateral Marketing. U.S. Small Business Development Corp. in Tampa is a company that specializes in Computer Related Services, Nec. Our records show it was established in Florida.